Established in 2014 as a hub for talented graphic novelists, comic book writers and aspiring illustrators, Khayal Comics is a professional illustration and production studio that creates graphic novels, comic books and Japanese manga. 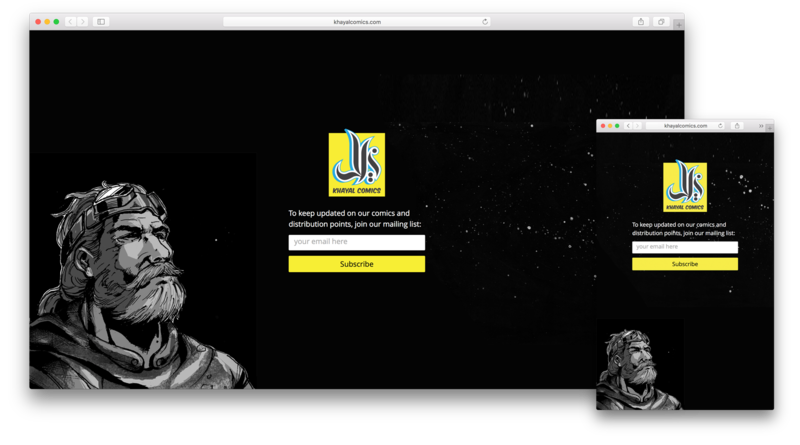 As a subsidiary of House of the 8th Design Studio, Khayal Comics asked me to turn the design of their coming soon page into a functional webpage that can build their audience and community. The design was focused around a main character in their latest graphic novel; the Chronicler. The final result draws the focus of the visitors from the Chronicler’s eyes to the responsive subscription form.